Dr. Shinod Varghese completed his MBBS and MD Dermatology from St. John's Medical College, Banglore India. After his post graduate training, he was a trust fellow in Pediatric Dermatology at Great Oromond Street Hospital for sick children, London, UK for one year. 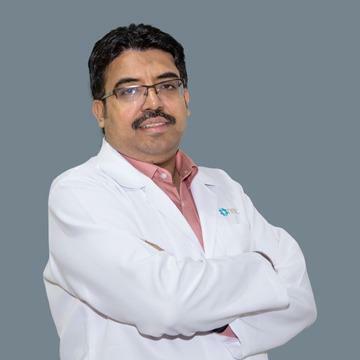 Dr. Shinod Varghese was Dermatologist at Lourde's Hopsital, Kochi, India for 2 years before moving to UAE. He has been working as Specialist Dermatologist at NMC Royal Medical Centre, Ras Al Khaimah, UAE for past 10 years. He is fluent in English and Hindi and is able to communicate in Arabic.